Island of Tanks is a multiplayer mission focused around armoured team combat. The mission is played in time limited single life rounds with a max player count of 48 and a max vehicle count of 24. Players can either crew a tank by themselves or with another player as a driver and gunner. 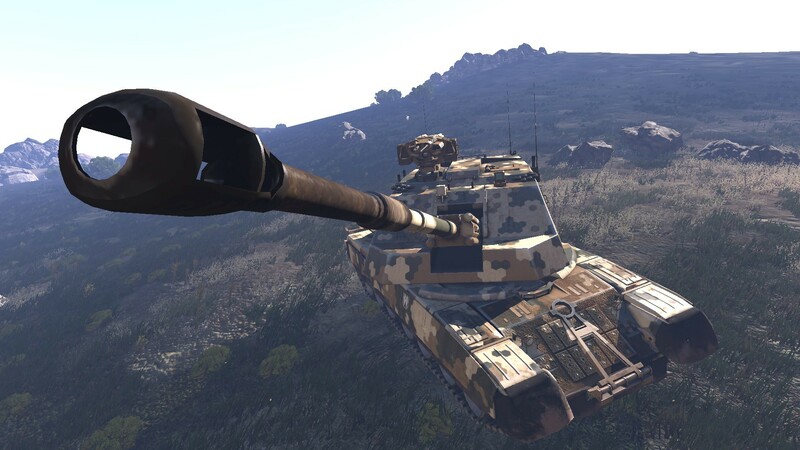 Play as either BluFor or OpFor in armoured team combat with up to 48 players operating 24 tanks. 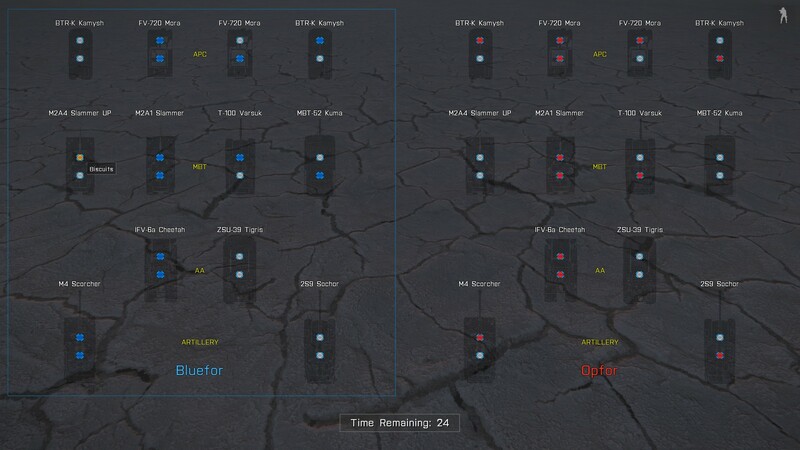 A vehicle selection screen at the start of each round allows players to pick their desired vehicles and their chosen seats (driver or gunner). If you are the only player inside a tank you will get access to a seat swap action, bound to the [x] key so that you can quickly jump between driving and gun controls. 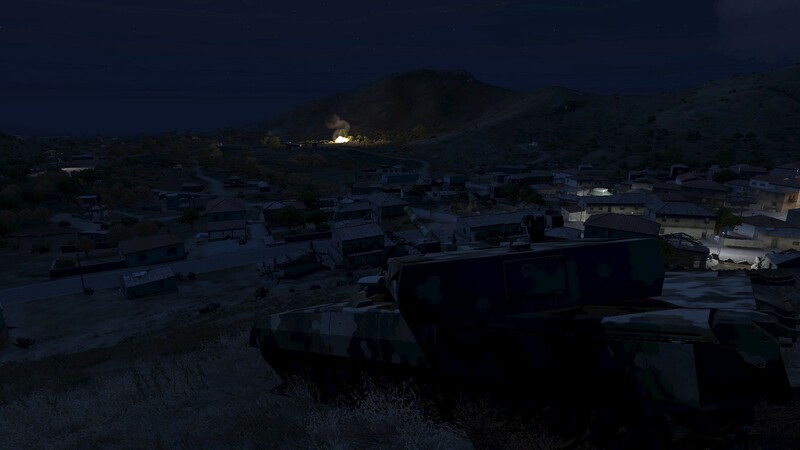 The battles take place in various locations around Altis with randomised time of day and weather effects. Each round takes place within a 4km area giving players plenty of tactical choice in where to make their stands while a time limit of 15 minutes keeps the pressure on and the action up. A tank hud provides players with precise information about the state of their tank and its parts so that they can better plan their engagements. Parts such as tank tracks or the gun being badly damaged can lead to a loss of movement or aiming. In this event avoiding further hits for a short time will allow for a small repair to patch up your vehicle, firing smoke can be useful here. In the event that your tank is destroyed you can spectate your team members while waiting for the next round. The round is won by the team who destroys all of the enemies tanks or if the time limit is reached the team with the most remaining tanks will win. 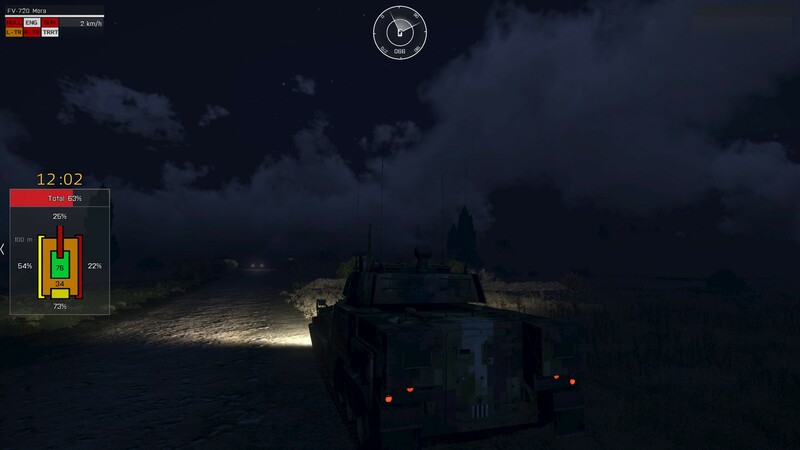 This mission makes use of Arma 3 game content owned by Bohemia Interactive such as sounds and music. The only 3rd party content used is that of Bohemia's.